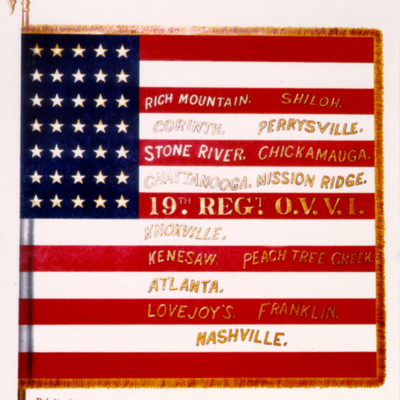 Private Jacob Andervount was a member of the 19th Ohio Volunteer Infantry, 4th Corps, Army of the Cumberland, at Kennesaw Mountain. His regiment was not directly engaged in the main assault on June 27th, but rather was held back in a reserve role. That did not mean that Andervount was immune to the battle, however. He and his comrades were still subjected to artillery fire, skirmish fire, and the sights and sounds of war. Andervount witnessed the carnage first hand when he saw Federal soldiers launch their assault on the morning of the 27th, and saw the consequences of battle when wounded men began streaming back into Federal lines a short time after they had left. This is his diary excerpt for that day. “This morning every Gen and Liet seem busy. Orderlies are seen passing to and from with orders in their hands. We say it means fight. Our line officers are ordered to report at Col. Quarters. When they return we are ordered to pack up and fall in. Then they tell us that there will be a grand attack made at 8 o’clock AM by one Division of each corps. Our division is to support Gen Newton’s 2nd Division. We move out by right flank, are soon in line of battle in rear of 2nd Division. 8 o’clock our artillery opens along the whole line. Soon the brigade sounds the forward and away goes our troops. The Rebs skirmishers fall back of their works until our troops are within 30 yards of their works then they pour in a deadly fire. Still our lines advance but it is to death or a southern prison for but few return. Our lines were repulsed and occupy the same position we did this morning. Our loss is heavy. The 97th OVI and 40th Ind. Lost most in the 2nd Division. Probably it is not best for us to know what all this charging is for, but we know that it is getting rotten to get our men slaughtered up at such a rate and we accomplish nothing. Gen. Harker was killed today. He commanded 3rd Brig. 2nd Div. 4th A.C.
Over the coming months, you will hear quite a bit about many different individuals on this blog. For those who, like me, have spent most of their time studying the war’s Eastern Theater, many of these names and individuals will not be familiar. It is only in recent years when I have spent hours researching the Atlanta Campaign, hiking the trails of Kennesaw Mountain, and working on my book project, that I have become familiar with the names and faces of the men of the West. One of the individuals who I have come to deeply respect is Emerson Opdycke, one of my fellow Ohioans. At John Carroll University, I wrote my master’s thesis on Ohioans in the Atlanta Campaign, and thus I have a special place in my heart for my fellow buckeyes who fought and struggled in one of the most important and difficult campaigns of the war. For today’s post, we will meet Emerson Opdycke. More specifically, we will take a look a letter Opdycke wrote to his wife in Ohio 150 years ago today, when Opdycke was in Tennessee. A native of Ohio, Opdycke was originally a lieutenant in the 41st Ohio, a regiment he was a part of at the Battle of Shiloh. 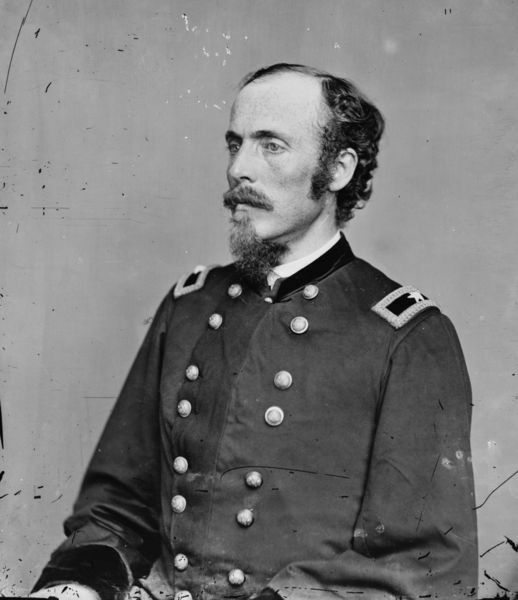 Later in 1862, he helped raise and became the lieutenant colonel and colonel of the 125th Ohio, often known in Civil War history as “Opdycke’s Tigers”. By the time of the Atlanta Campaign, Opdycke and his men had distinguished themselves at Chickamauga and Chattanooga as veteran soldiers. In the letter below, written 150 years ago today, January 7, 1864, Opdycke expressed a desire to return home to Ohio to his wife. He worried over smallpox (according to various sources, there was no widespread outbreak in Ohio at that time), as well as the cold weather (a particularly fitting observation for today, as bitter cold grips much of the country). He also wrote of veteran soldiers going home for furloughs as a condition of their reenlistment. Altogether, it is a very interesting letter, and a nice introduction to a man we will learn much more about, Emerson Opdycke. A mail arrived on the 5th but to my great astonishment and disappointment I received nothing from home and I am uneasy about you all I am informed that the small pox is raging in Cleveland that the stores are closed and business generally suspended in consequence of it. I think Tine had better be vaccinated again as I fear the pest may reach Warren. We are having a little winter now, some snow and well frozen roads Clinch and House mountains appear white in the distance and the clouds look wintery. I presume you can hardly appreciate how comfortable we all are even without tents and houses except such as we may construct with an ax out of the raw material as it stands in the charming woods of East Tennessee. But we are quite well off so much so that the men never were so healthy. The purity of the atmosphere and the rudeness of our habits obliging us to breathe it night and day must be the cause. I have not been so heavy for years. The Doctor is even happy in praising the salubrity of the climate he is as much improved as any of us and he appreciates it highly. When I wrote you on the 4th we were under orders to move on Longstreet since then a change has been made and the proposed winter campaign has been abandoned. Gen. Grant has gone and we expect to move back to such localities as will furnish us forage; this is an absolute necessity and we will probably not get to Chattanooga until some time in February. Col. Moore has not joined us yet but he will as soon as he can get the train along he was at London on the 1st I am very anxious to see him among us. The 41st and 19th have left form home as they expected to, a happy set of heroes I assure you. Oscar was here last evening, and is as hearty as a man in love well can be! I like him better the more I know of him and think him pure hearted and conscientious. His political conversion has been as great as that of a sinner to a saint and he has had the firmness to inform his reprobate (politically) father; he is entitled to much credit for this because it has cost him a struggle: he has imbided strong political prejudices from infancy to manhood and to cast them away and embrace the just and true is eminently crediable to him. I think Frankie is the sweetest girl in Warren and I believe they will be very happy. “The Tigers” have enlisted as veterans, on condition that they be permitted the same privileges as the older veterans; it is thought they will be accepted, I have not much faith in it, as the War will probably be closed, before our term expires, though our services have been far greater, than some of the regiments who have but a few months to serve; and it is so esteemd by our superiors. If we are accepted, I shall be at home soon! And if I get away what shall I buy for Teenie? That is an important question, so be sure and answer it. I do not know what he has, nor what he wants, how large he is now how large he feels and I look to you for a bill of particulars. 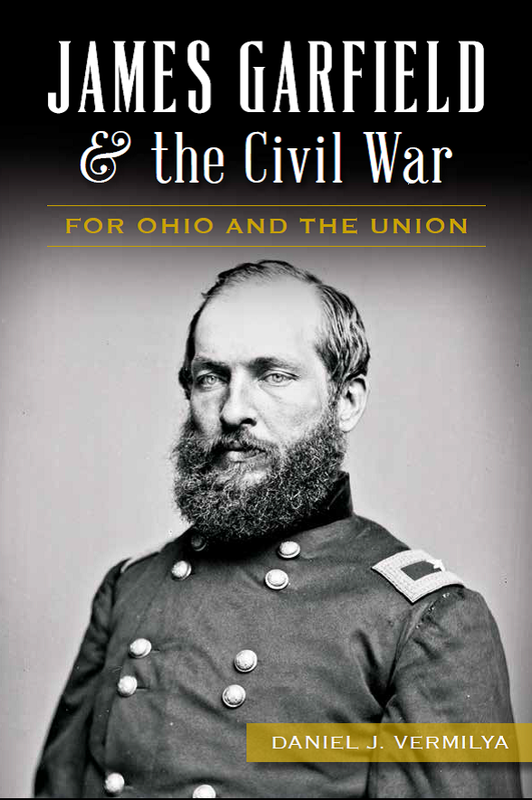 To Battle for God and the Right: The Civil War Letterbooks of Emerson Opdycke, edited by Glenn V. Longacre and John E. Hass (Urbanna: University of Illinois Press, 2003), 152-3.